This is company website for industrial connectors. Here one can find products ,images, all dimensions. 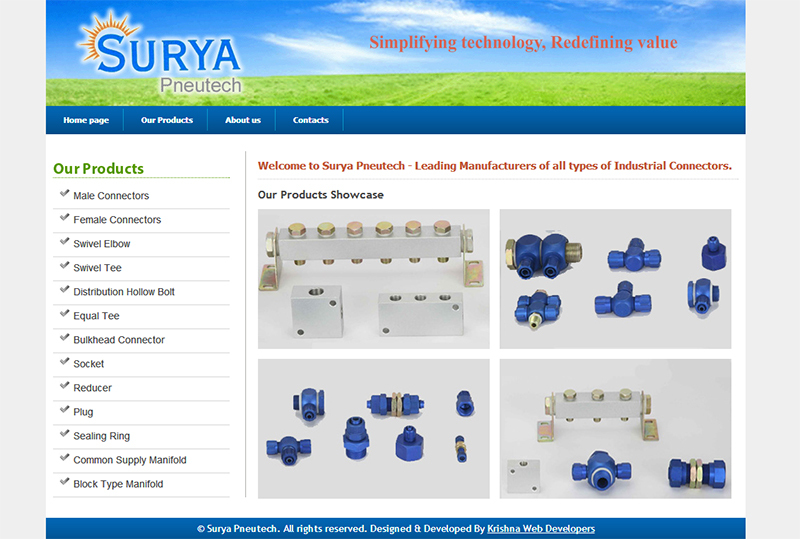 Surya Pneutech is formed by a team of technocrats with more than a decade of experience in the field of pneumatics.